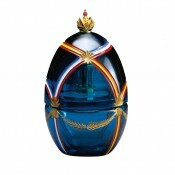 The Friendship Egg captures a special moment in history, commemorating the largest exhibition of Fabergé Imperial Eggs. 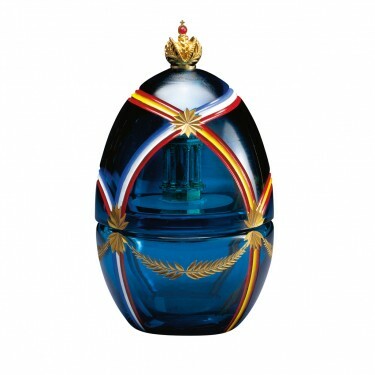 The sky blue lead crystal Egg is adorned with 23 carat gold and enamelled with ribbons of colours representing the United States and Soviet Union flags in the form of rainbows, an expression of hope for the future. The crown of vermeil is set with a cabochon ruby. 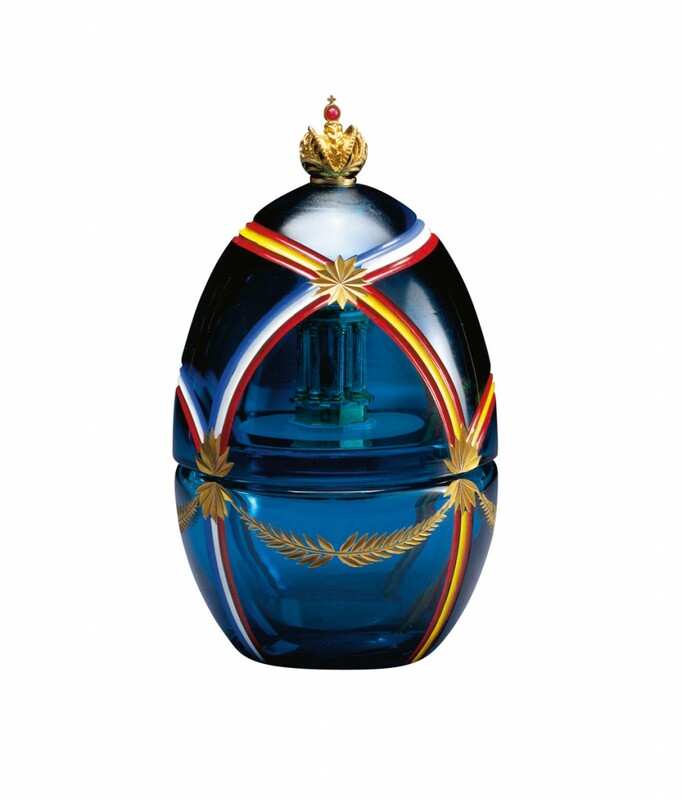 The surprise, a model of a gazebo in sterling silver, gilded with 24 carat gold, containing a miniature egg of Lapis Lazuli, represents the birth of a new era of friendship. Materials: Crystal, 23 and 24 carat gold, sterling silver, cabochon ruby and Lapis Lazuli.